SUNDAY, Dec. 25, 2016 (HealthDay News) -- Santa might want to put a ho-ho-hold on some of his potentially damaging lifestyle habits, such as eating millions of cookies on Christmas Eve. 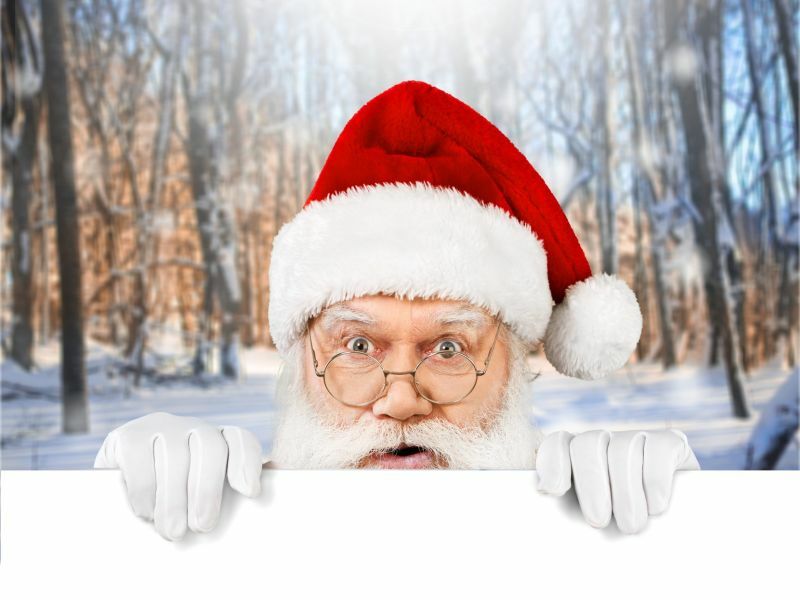 Concerned family doctor Dr. Jennifer Caudle also pointed out that every Dec. 24, Santa zips around in an open sleigh without wearing a seatbelt, stays out all night, and sneaks in and out of strangers' homes. These behaviors might just earn Saint Nick a lump of coal from his own doctor. However, "by all accounts, he is over 550 years old and still very active, so maybe there's more to his health habits than immediately meets the eye," said Caudle, an assistant professor at Rowan University, in Glassboro, N.J. It's likely that Santa follows a workout regimen throughout the year that enables him to be "quick and lively" when it counts, Caudle suggested. "Carrying all those toys requires strong bones and muscles, which also helps prevent falls, especially in older individuals, like Santa," she said in a Rowan news release. Caudle also noted that the Jolly Old Elf has abandoned a particularly dangerous behavior. "Years ago, images of Santa often showed him smoking a pipe, but he seems to have kicked that habit," she said. "Tobacco use is still the single most preventable cause of death and disease in America. No matter how long an individual smokes, quitting has both immediate and long-term health benefits," Caudle explained. But Santa's eating habits may still put his health at risk. "Even though he appears to have slimmed down a bit, Santa's body mass index still seems to be quite high," said Caudle, who noted that obesity is a leading cause of type 2 diabetes and heart disease. "Those sugary snacks he enjoys at each stop on Christmas Eve can contribute to unhealthy weight gain. Children can help Santa stay healthy by leaving healthier choices, like carrot sticks or apple slices with peanut butter. These are good snacks for parents and children to share, too," Caudle said. Another factor in Santa's favor: Mrs. Claus. "By all accounts, Santa and Mrs. Claus have been married for a long time, and some studies have indicated that married couples enjoy several health benefits, including being more likely to follow their health care provider's advice," Caudle said. Santa's reindeer may also give him a health boost. "According to the U.S. Centers for Disease Control and Prevention, having pets can help lower blood pressure and cholesterol, which are important for heart health. Plus, a pet often encourages healthy exercise, like walking, and can open the door to opportunities for social interaction with other pet owners," Caudle said.